This week I managed to salvage the audio I thought was going to be unusable from my long and interesting and entertaining conversation with Glenn and Mari. 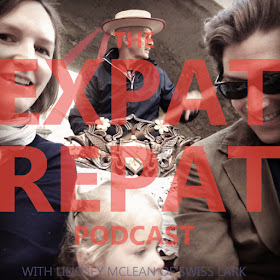 Glenn and Mari are a Californian couple who hit a glass ceiling in each of their expat careers and decided to repatriate temporarily in order to get further qualifications and advancement and then return to expat life. With many twists and turns and surprises, they pulled it off and achieved their goal when they moved back to Europe in late 2017. Glenn and Mari told me about their re-entry to the US and how it felt to take the plunge and return to expat life after four years back home. Please have a listen and if you like what you hear, be sure to subscribe and leave us a review! Thanks.